Vivo IPL 2019 Graphic Set for EA Sports Cricket 07 now available for Download. 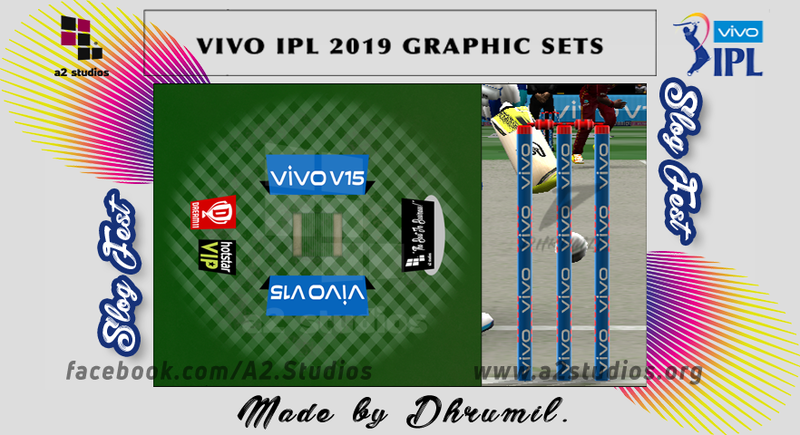 The Vivo IPL 2019 Graphic Set Patch are made for Indian Premier League T20 matches. Download here the high quality Indian Home ODI Series 2019 Graphic sponsor Set for EA Sports Cricket 07 now! Credits to Dhrumil for creating this quality piece of work. Just Extract the Downloaded RAR files to your Cricket 07 Root Directory using WinRAR to enjoy!